This post is sponsored by RoosterFin Games. All opinions are 100% my own. Lumpy Cubes. 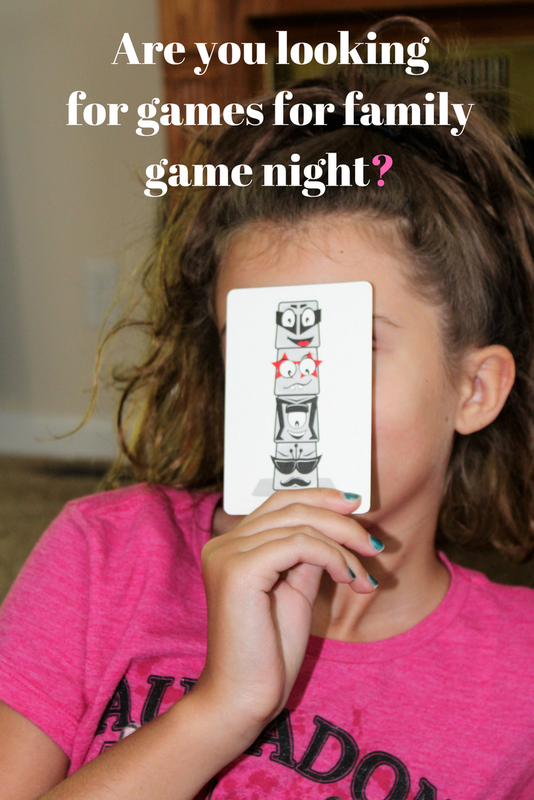 Family game night is so important in our household because it gives us time to reconnect as a family. Our school week is usually spent running from one thing to another. Usually, Friday night I set aside for the family game night. So, this Friday we headed over to my mom's house for dinner and a little game playing. This week my daughter and I played Lumpy Cubes. Lumpy Cubes is a much cooler and more modern version of the Memory Game. It will have you thinking and recalling on your memory. Which apparently mine needs a little work because by the time I said 3-2-1 and we threw our cubes up in the air half the time I had forgotten the order of the Lumpy Cubes. Each player selects which color they would like to be. The game is for 1-4 players and the ages of six and up. The cards are shuffled, and one card is selected. Everyone can memorize the card for about 10 seconds. Then, a player yells 3-2-1, and everyone drops the cubes. You are then to stack your lumpy cubes to recreate the card. The first player that does so correctly yells Lumpy, and the card is checked. We had the incorrect stacking quite a few times so make sure you check the card. If the stacking is correct, then the player wins the card. The first player to have three cards is the winner! 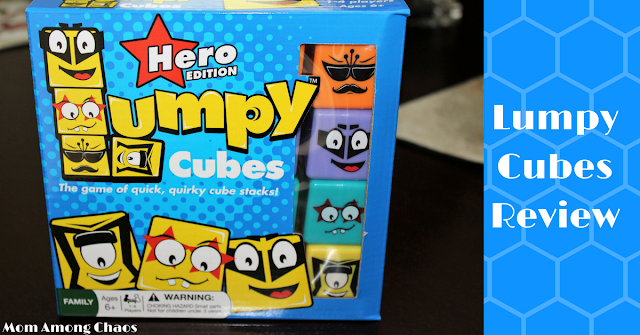 Would I recommend Lumpy Cubes? Yes, if you have a child that's in elementary school this is a great memory game. Actually, it's the perfect game for the whole family. We all can use exercise for our brains! Just like we exercise our bodies our brain needs a workout as well! Joe, the owner of RoosterFin, brings a unique skill to board games with his ability to create authentic game engines. His gift is in understanding how math applies to games. Joe’s background, coupled with his years teaching kids, enables him to create award-winning games that are continuously simple to learn and fun to play. Since Joe has left his life in the classroom behind, he has devoted his full attention to making great games. Have you checked out RoosterFin games?